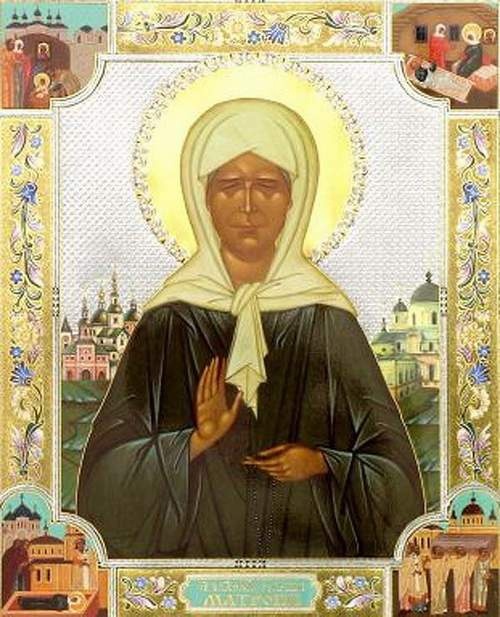 Mother Matrona of Moscow, who lived not so long ago, 1885-1952 years, is the Saint that helps in a variety of situations, mostly related to family, children, health, etc. the Only thing that does not approve a Matron is accessed after a different kind of psychics – witches, sorcerers, mediums, etc. in Addition to direct appeal to the Holy Pokrovsky monastery, where the cancer is located with its relics, the matron can write a letter. How to do it? 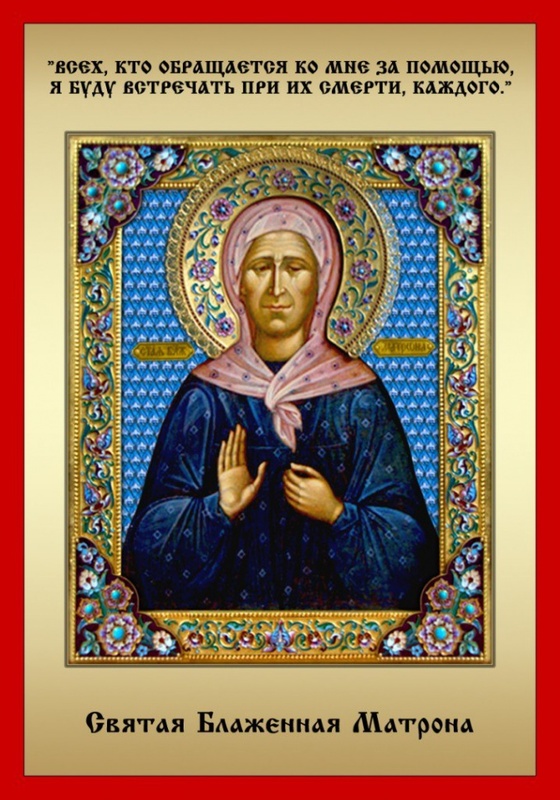 Those who trust in the intercession and intercession of St. Matrona of Moscow can write to her at: 109147, Moscow, Taganskaya str., D. 58, or e-mail - matronushka@gmail.com. In addition, the web site exists http://kmatrone.rucreated with the blessing of the Orthodox Church. On this site it is possible to leave the message of the Holy matron. Each of the letters sent by mail or the Internet, necessarily falls to the relics of a Saint. If you decide to send your letter by post, write about the needs and desires for themselves and their loved ones, fold the note and seal it so that the text was not visible. Put your message in an envelope with a note: "Dear sisters, please put this letter to the tomb of St. Matrona". How should I compose the letter to the Matrona. Write from the heart, with all my heart about what bothers you, what you want to get help. Ask a Saint to pray for you, for the health of your loved ones, and intercession before the Lord. What other problems can I take to Matrona of Moscow? Before the upcoming trip to avoid an accident or other incident. When nagging anxiety – ask about finding peace of mind. If you can't conceive or can't create a family. If your loved one is prone to drunkenness or other harmful habit. Hoping for help from the Holy, try to follow its instructions, in this case, the help of the Matrons will come for sure. What did she advise? Not to judge others and to think more about yourself – in the end, to answer you, not for someone's actions, and for their. To live prayerfully and to protect themselves from the evil of the cross. Communion and always keep burning the lamps. Forgive the old, infirm and sick for what they say to help them. Not to pick on the road various items and money. Not to attach significance to dreams and not try to understand them. Not to go to his grandmother-witch. Never forget that all human actions are recorded in two books – the sins and good deeds for which people are judged. If a miracle happened – don't forget about the one who invisibly helped you in this difficult time. Thank the mother Matron. This can be done also in the letter or in the Pokrovsky monastery. In this case, it is appropriate to make a donation to the temple and bring the Matrona flowers that she loved in life. Very often, confused and not finding the solution to problems, people turn for help to God and the saints. In the event of marital problems and conflicts people are asking for help from the Holy Matron, as she is the patroness of the family peace and homemaker. If you sincerely pray and ask Matron, she'll hear and help. But not everyone can come to Church, where the relics of Saint Matrona. That is why, having the opportunity to come, you can write the Holy matron a letter or a note. Send a letter to the Holy matron, choosing one most suitable option for you. There are two different ways of sending: via the email address established by the Ministers of the Church, or by postal mail. The address to which you send a letter to: 109147, Moscow, Taganskaya street, house 58. On the envelope be sure to write the Holy mother matron. As soon as the letter comes in the Church, the clergy will put it to the relics of Matrona. The email address where you can write a letter to the matron: matronushka@gmail.com. Compose your letter from the heart. Think carefully about what you want to ask. Try not to disturb the Holy nothing. Don't be afraid to write about their fears, experiences and problems in which you "re asking for help. Be sure everything else ask them to pray for the health of your friends and relatives. Ask for help in making any decisions. Don't forget about the prayers after you send the letter. In the morning, waking up and having washed crosshairs and say, "Mother Matron, help me." Exactly do the same before bedtime. If you have the icons, light a candle in front of them. Do not swear and do not insult others with bad words, don't panstwowe – mother that hates it. Best to visit the local Church, stay there for the entire service until the end, pray and put candles to the saints. When what you asked mother, what happened – don't forget to thank sincerely the Matrona. Words of gratitude it is possible to just send in a letter or donate money for the monastery. In that case, if you ever come to Moscow, let us remember that St. Matrona you once helped, and not too lazy to buy her flowers and visit the Church. Remember, not sanctified icons will not be able to help you. 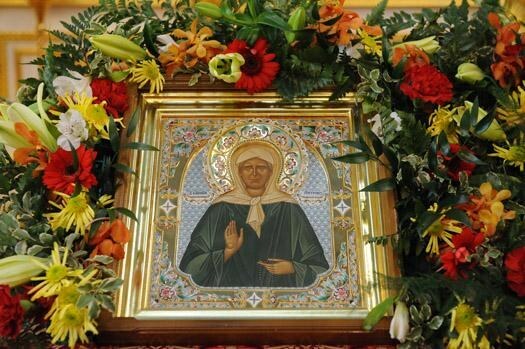 Possible purchase an icon of St. Matrona and put it in my house without forgetting to consecrate it in the Church. At the Pokrovsky monastery in the city of Moscow the relics of St. Matrona of Moscow. Daily for many decades, the bar draws a stream of people. Someone came requests of health for themselves and their loved ones, someone help in finding missing, someone patient and good for all human kind. Matrona was born blind. From early childhood she was helping people in sickness and sorrow, good advice and tireless prayers. 17 years old girl lost the ability to move on their own, her legs were paralyzed. But then she lost faith in God and the goodness of people, and a stream of people asking for increased with each passing day. For everyone who came from the Matron was a kind word, advice and parting words: "Come unto me, and after my death, all will hear, all will help, each will tell the Lord our God". Older Matron lived in Moscow, was not always fed, of prosperity never thought, but help any who refused. After her death, she was canonized and became Saint Matrona of Moscow. Many years have passed, but now there is much evidence that the request it does not remain without attention and after visiting the Holy places associated with her name, people's lives changing dramatically, back down the disease and the difficulties, to establish family relationships. It is believed that to seek help from old women should be where her foot had stepped, her relics are kept, that is, to make a pilgrimage, speaking the language of the Church, to the Holy places. But the word asking to be heard, no matter where he was. You can visit the nearest temple, you can pray at home, or send a note to the matron with those who are going to go to her relics or the grave, if it is not possible to do it yourself or even write it on one of the Christian sites. Strict rules about how to write a note Matrona of Moscow, no. You can Express your desires in a simple syllable, you can seek the assistance of priests from the nearest to your home Church and they will give the text of the prayer to Matrona of Moscow. It is advisable to call the name of him who asks and who pray that the Holy crone knew, on whom to talk to God in your prayers. The most important thing is that your request must be sincere, and you really want good guy who you ask. It is impossible to write notes with the wishes of the evil diseases, with the content of the accusations and a description of your offense. In childhood the Matron said that God tests only those who are able to deal with them.